Forgiveness feels good when it comes my way. It scratches my itch for another chance. It lets me back in when I should be left out. But when it’s time for me to forgive, forgiveness may feel awkward or even unfair. I know it’s the right thing to do. It’s what Jesus did for us on Calvary’s Cross. 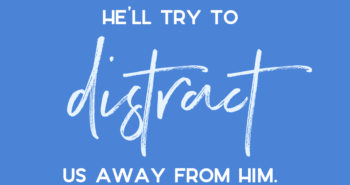 It’s what He does for me daily. Forgiveness moves us forward. I was reminded of its force when I saw a church sign a few years ago. I don’t know what items were missing from the church. But I do know the “items” missing from my heart. Trust. Treasured memories. Future plans. Are stolen items missing from your heart too? Are chunks of dignity or pieces of a dream absent? Forgiveness doesn’t change what happened, but it changes what could happen if we don’t forgive. We may become bound to the thing we disdain instead of becoming free to walk in God’s purpose. And yet, I’m still learning. Forgiveness is how we grow in front of people. Bitterness is how we grow weary by what happened. Letting go of an offense is a strenuous “growth opportunity.” Our pain matters. But what Christ did for us matters too. We must decide if what He did matters most. Forgiveness acknowledges what went wrong while trusting God to make it right. It’s not always easy, but He can always be trusted. I hope the person who stole the church’s items stepped up, made amends and met the Savior. I see Christ working in my struggling relationship in both tough and tender moments. I want Him to take over my perspective when forgiveness is required. I praise Him for taking what was meant for evil and turning it into something good. If your “stuff is stolen,” God knows all about your pain. Whether you need to meet the Savior or need to grow in front of people, may you be restored by His grace and move forward. Joy A. Williams is an author, blogger, and speaker. She has served as a small-group Bible study leader, Women’s Conference and Retreat speaker for over twenty years. Her years of experience of encouraging others with God’s grace has deepened her enjoyment of sharing His life-changing truth in Christ. She is the author of Friendship MAPS: A Journey through Maturity, Aspirations, Perspectives, and Struggles. 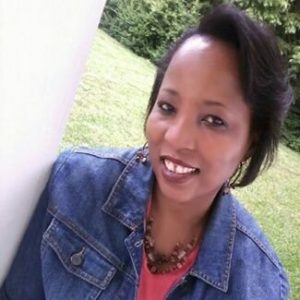 Joy shares “hope for the heart and joy to the soul” on her weekly blog (at https://joyAwilliams.com) and she loves living life in North Carolina with her husband Brady and their son. 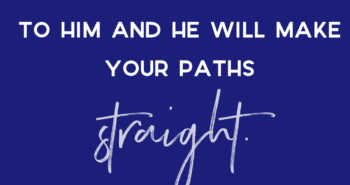 In addition to subscribing to her weekly blog, you can also connect with Joy on Twitter or Facebook @joytothesoul and on Pinterest @joy2thesoul. Joy, thank you for sharing your message here today! Bitterness IS what makes us weary, but forgiveness moves us forward and helps us grow. Hi Betsy! May we all continue to grow in God’s grace! I loved this quote “Letting go of an offense is a strenuous “growth opportunity.” Our pain matters. But what Christ did for us matters too. We must decide if what He did matters most.”. Our society is so easily offended – our pain does matter and if we take our eyes off Jesus we can let it consume our heart and our mind. He has to be our focus if we want freedom and peace. Hi Penny! Yes, offense is easy to find, but “if we want freedom and peace” keeping our focus on Christ is essential. Wow. Stolen things of the heart. We often think of physical things, but the heart things can create the biggest hurt and be the hardest to forgive. Thanks for these words and reminding us to do the right thing. Hi Theresa! I’m glad this post spoke to your heart! Hi Theresa! I’m glad this post spoke to your heart. We are forgiven for all of our sins with no hesitation and no exceptions. We should look to the Father’s example and reflect His forgiveness in our own lives. Great post! Hi Rebecca! You make a good point. I’m doing a weariness check now! This is beautifully worded. “Forgiveness is how we grow in front of people.” Powerful truth as someone is always watching to see the outcome. May I always choose to forgive quickly too. Blessings! I’m glad you enjoyed this post. Blessings to you too Joanne! Hi! This is my first time here. And yes, you nailed it. What Lauren said. Welcome Liberty! Purposeful Faith is a great place to come for encouragement. I’m glad you joined us today. I appreciate your perspective on forgiveness – especially forgiveness as a growth opportunity. While I don’t want to relive hurtful times when I’ve needed to forgive, I must say, they have been learning and growing experiences for me! Hi Amy! I’ve had plenty of growth opportunities come my way and I’m sure I’ve provided the same “opportunities” for someone else!